These mobility wheels allow for an 8 in. adjustment. These 5 in. 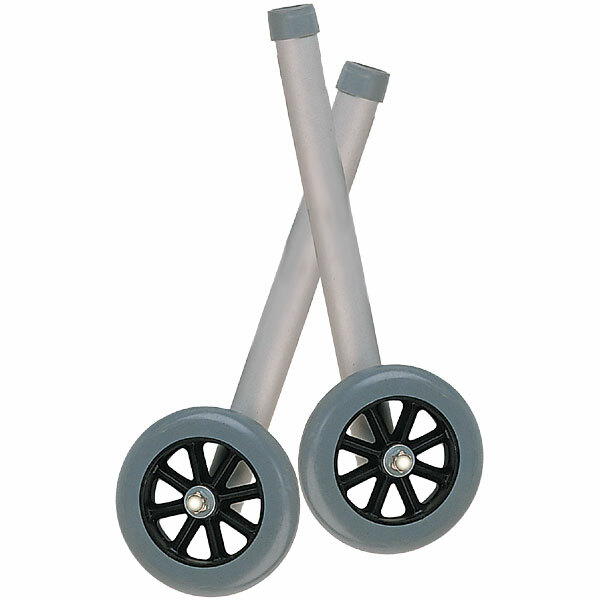 rubber wheels allow walkers to glide easily and smoothly over irregular surfaces. These mobility aids are designed for use with most leading manufacturers walkers.